It was noon, October, 19, 1781, when two lines formed on the Yorktown battle field. Washington and the Americans stood in one line. The French in the other. Between them slowly marched the defeated British. The British General Cornwallis did not come. He excused himself as being indisposed. Instead, he sent his sword of surrender by the hand of General O’Hara. O’Hara tried to surrender the sword to the French commander, but he was waved back to Washington. 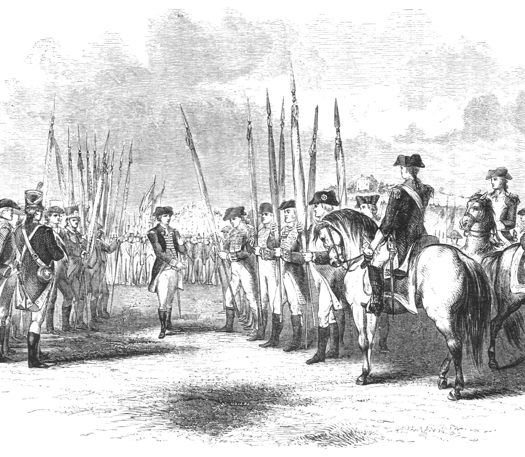 When Washington saw that a subordinate officer had come with the sword of surrender, he told O’Hara to make his presentation to one of his own subordinates, General Benjamin Lincoln. The sword ceremony was the signal for the British to march forward and surrender. At that very moment, on the Yorktown battlefield, America was given her freedom.